As one would expect, oversized kozuka (ô-kozuka) require oversized blades (ko-gatana). The word, ko-gatana, literally means small sword. Whether it goes with a normal sized kozuka or an oversized kozuka, it is still called a small sword, hence ko-gatana. 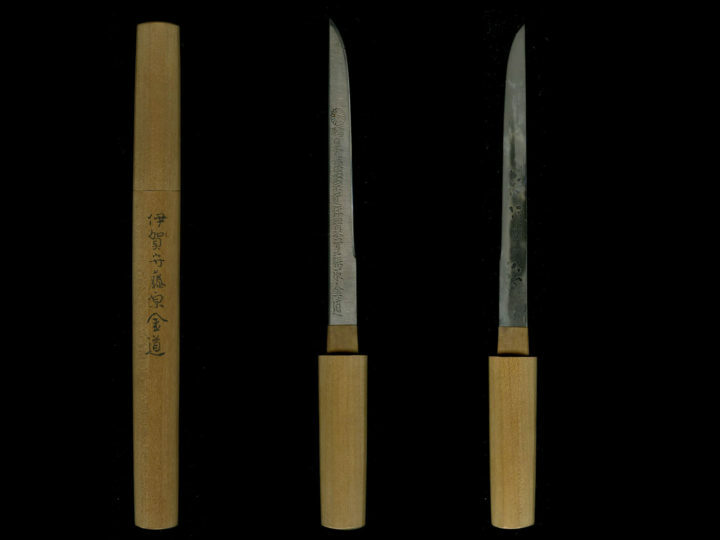 Below are three examples of ko-gatana (小刀). The top example is by one of the Kinmichi smiths from the Kyôto area. The full signature reads: NIHON KAJI SOSHÔ IGA (no) KAMI KINMICHI SAKU (日本鍛治柱宗匠). It was probably made by either the eighth or tenth generation smith by this name. Both of them worked in the 1800’s. The second ko-gatana is by the Owari smith, Masatsune. The full signature reads MINO (no) KAMI MASATSUNE (美濃守政常). It was also probably made by one of the later generations of smiths by this name. Probably in the 18th to 19th century. The third ko-gatana is by Kanemichi from the Mino area. The full signature reads: GIFU JÛ KANEMICHI SAKU (関住兼通作). Judging from the condition of the nakago, it is probably of 19th to 20th century origin. 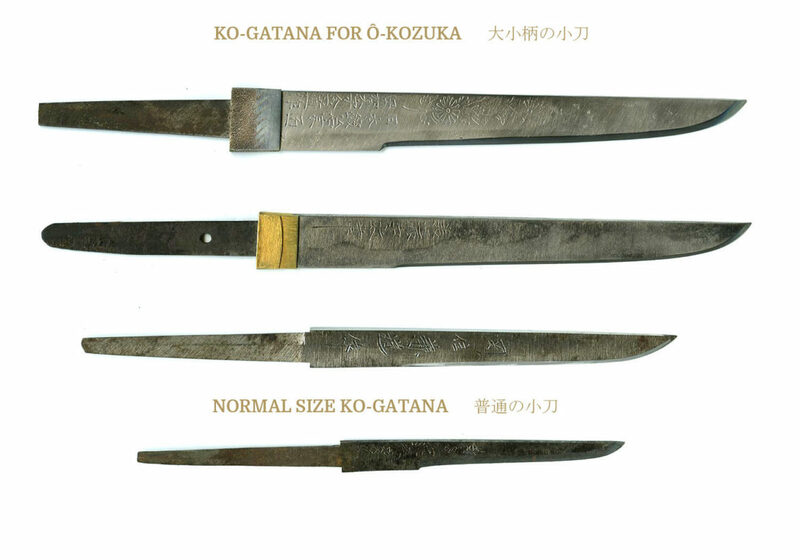 The fourth and final ko-gatana, is a normal sized one to give you some perspective as to size of the others.